Come see us perform in Alice in Wonderland at the Irvine Barclay Theatre on April 20th, 2019! The Maple Conservatory of Dance provides dance training of the highest standards at our studios in Irvine for ages 4 to adults. Our Conservatory program attains the highest international standards for dancers of all levels and interests, while emphasizing quality ballet training and superb performance opportunities. Through excellence in the classical ballet tradition, we seek to attract and expose our diverse community to the wonder and value of the art of dance. We are now accepting applications for fall 2019. Contact us at info@mapleconservatory.com or (949)660-9930 for details. SEE OUR CURRENT SCHEDULE BY CLICKING ON THE REGISTER LINK! Our Open Program has Expanded to include New Classes in Adult Beginning Ballet, Contemporary and Jazz! Register for your classes online for the fastest way to join in! The Maple Conservatory offers a program designed to take students from their first introduction to the art of dance, through a full course of ballet study. The Maple Youth Ballet provides dancers with performance opportunities, and brings professional-quality performances to Southern California communities. Our Open Class schedule is open to everyone ages 13 through adults on a drop-in basis. Classes are held 7-days a week; view our schedule to get started. 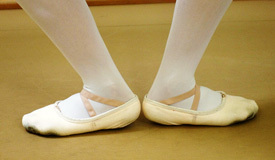 SPECIAL OFFER – First-Time Students can Try a FREE Pre-Ballet Class! The Maple Youth Ballet Presents, The Ultimate Nutcracker! 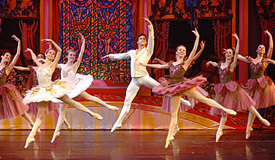 Watch as this unique Orange County classical holiday ballet experience unfold, showcasing more than 90 exceptionally talented & classically ballet trained dancers from across the Southland! Performance by the Maple Youth Ballet Junior Company. Join our email list and stay informed on our latest classes, news & updates!